President Lyndon Johnson had announced that he would not seek re-election, but his vice-president Hubert Humphrey decided to run. Anti-war activists saw him as someone who would continue the war policies of Johnson so they came to Chicago to protest the war. 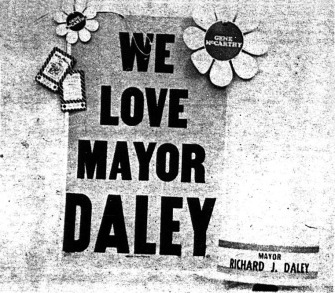 Chicago’s mayor, Richard Daley, was a powerful part of the Democratic political machine and he was able to keep the convention from being moved out of his city. Daley wanted Ted Kennedy to run. (This was before Kennedy left Mary Jo Kopechne to drown in his car. Not that it would have made any difference to Daley if it had happened earlier.) This challenge, plus the anti-war groups made it unsure that Humphrey would get the nomination. Outside the convention hall, about 10,000 protesters met with almost 12,000 police, 7500 army troops, 7500 National Guards troops, and 1000 Secret Service agents. The protesters wanted to get close to the convention site, the armed forces wanted to stop them. 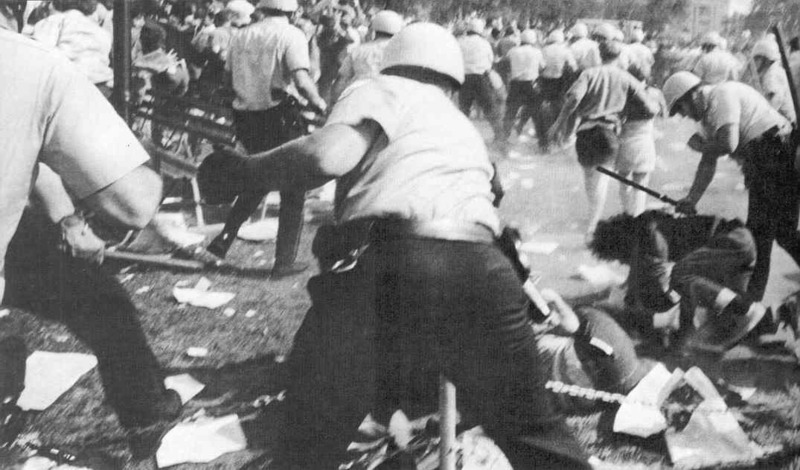 The police viewed the protesters as their enemy but they also viewed the press who were reporting on the conflict as an enemy. Protesters were stopped in their march to the convention hall. The police used their batons to beat protesters. Innocent bystanders and doctors that were trying to come to the aid of the injured were also beaten. Police used teargas on the protesters and sprayed them and other people in the area with mace. Eight people were charged with the federal crime of crossing state borders to incite a riot (part of the Civil Rights Act). 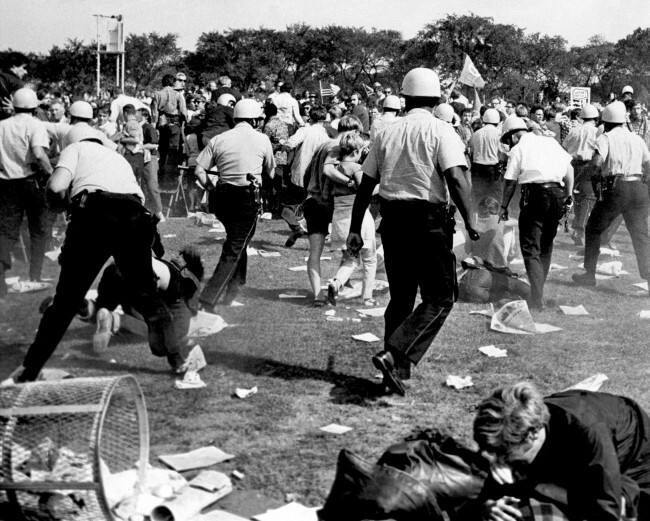 Mayor Daley later rewarded the police with a pay raise for beating down the dirty hippies their vigilance in keeping the peace. Previous PostFirst Muhammad Ali Heavyweight Title?Next PostBirthday of Donald J. Trump?